Branding & Website for a contemporary women’s fashion brand founded with meaningful beauty and simplicity in consumption in mind. 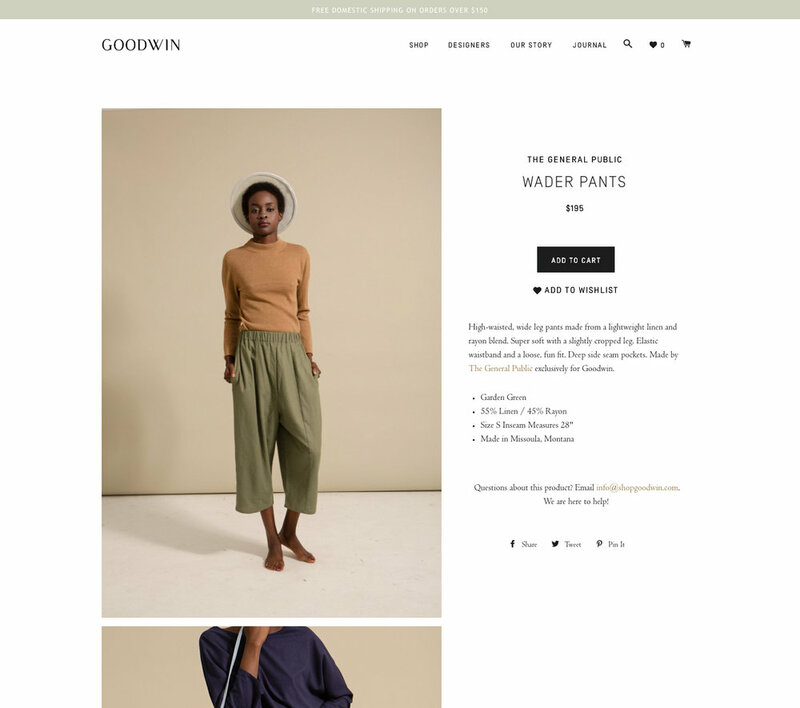 All items are creative exclusively for Goodwin by featured emerging and established designers. We developed: Wordmark Logo, Monogram, Brand Identity, Shopify Website, Print Design, Packaging. A contemporary women’s retail concept founded by Nashville native Elise Joseph. 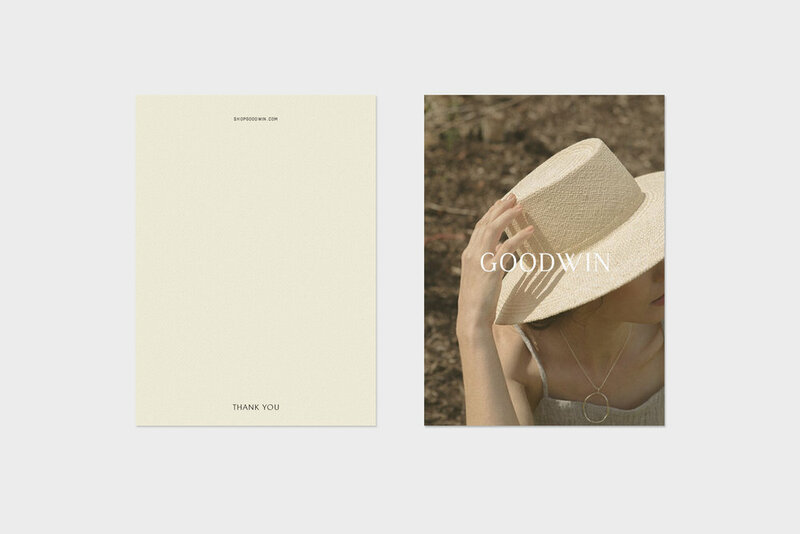 All items are created exclusively for Goodwin by emerging and established designers in limited quantities, intended for a shop founded with meaningful beauty and simplicity in consumption in mind. We developed a sophisticated brand identity, delicate printed materials, and an elevated, clean website. The brand photography expands on the brand’s soft, earthy color palette.